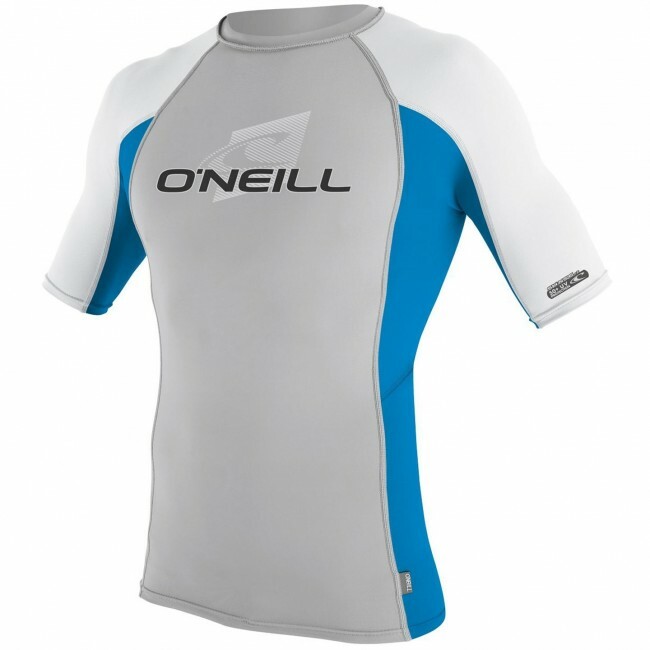 Featuring flexible 4 way stretch material and a performance fit, the O'Neill Skins Crew is made for all day comfort in the water. This short sleeve rash guard helps to prevent sunburn, sand rub and nasty wax rash so you can enjoy the sunshine and waves. Delivering great colors, quality construction and exceptional comfort, the Skins Crew Rash Guard is an affordable piece to play the day away in.